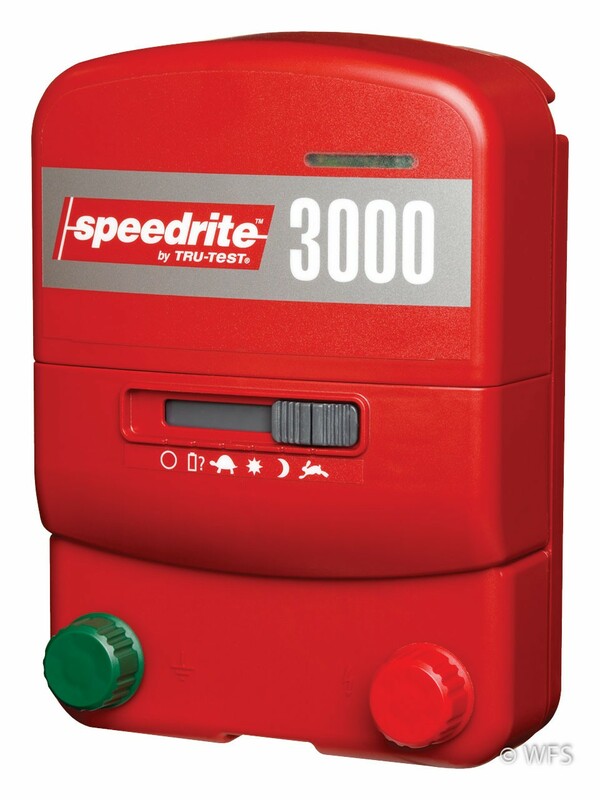 The Speedrite 3000 energizer has a maximum output energy of 3 joules. Each includes a 110 V AC adaptor and 12 V battery leads. 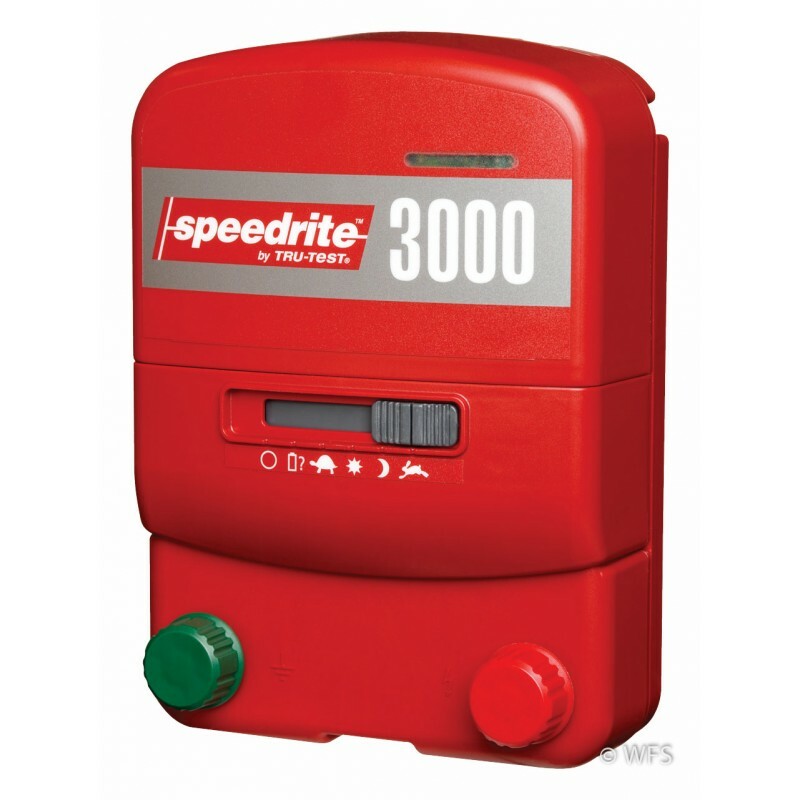 The Speedrite 3000 energizer has a maximum output energy of 3 joules. Each includes a 110 V AC adaptor and 12 V battery leads for either operation. Voltage indicator lights at the top of the unit display system performance and battery charge level. Multiple pulse speeds for battery conservation as well as Day / Night sensor for adjusting voltage during peak animal activity. These units may be converted to operate by solar power. Fence leads are included. 11.38 x 3.5 x 10 "